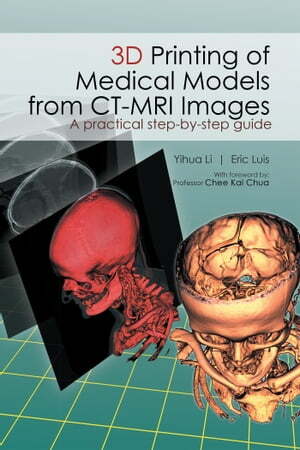 Collins Booksellers - 3D Printing of Medical Models from CT-MRI Images by Eric Luis & Yihua Li, 9781482879421. Buy this book online. 3D printing is the cutting-edge technology leading the next medical revolution. With advancements in accuracy, the technology is becoming more prevalent in medical research and application. This book provides a basic guide from how to use some commonly available software to perform 3D segmentation on MRI and CT scans, to preparing the 3D models for 3D printing. The tutorial brings you step-by-step through the process, so it is best to work on the examples while reading.